16 May 2017 marks the centenary of Juan Rulfo, one of Spanish literature’s most revered and mysterious writers. Few other authors in any language have attained such mythic status on the basis of such a slim body of work. Rulfo is generally considered, along with Carlos Fuentes and Octavio Paz, to be one of the three most important figures of 20th Century Mexican literature. However, unlike the vast reams of prose and poetry written by his two compatriots, and their international standing as literary lions and esteemed intellectuals, Rulfo published very little and remained an ambiguous and elusive public figure. Richard Boyle, an enthusiast of Spanish Colonial art history, recently donated 88 Spanish colonial art books to the University Library in honor of his wife Marlene de Block. This is a significant donation, as there were very few volumes on colonial Latin American art and are mostly North American publications. 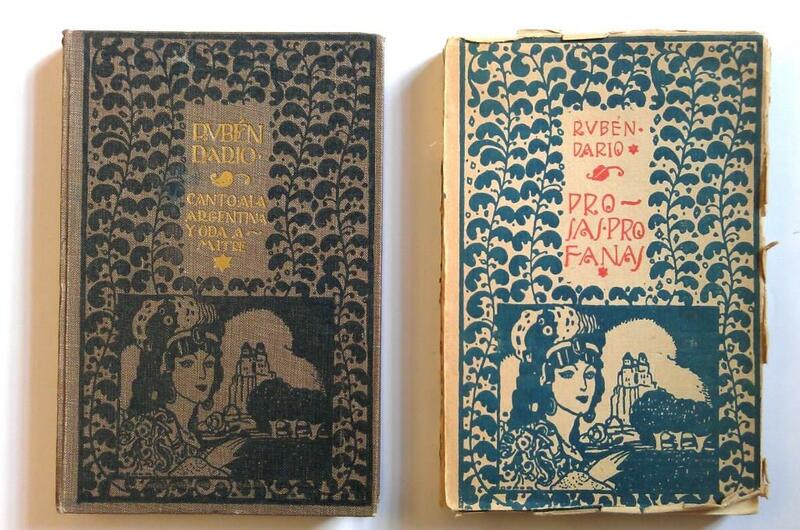 Until now, the University Library and the Centre of Latin American studies collections mainly focused on nineteenth and twentieth-century Latin America. Covers illustrated by Enrique Ochoa. Several Hispanic literary anniversaries will be celebrated in 2016 and these will give us a chance to talk about some very important writers and how they feature in our collections. The first in this series is Rubén Darío, the Nicaraguan writer, who died on February 6th 1916 aged 49 years old, after much pain due to illness related to his alcohol addiction. He was greatly honoured right after his death, his funeral lasting several days and he even had his brain removed to investigate the mystery of his artistic genius and to be kept as some kind of object of veneration.